LENGTH X WIDTH X HEIGHT: 193.5 x 72.6 x 56.7 in. CARGO CAPACITY: 14.0 cu. ft.
BOTTOM LINE: The rebadged Lexus GS200t, now known as the GS300, is classic Lexus, with a quiet ride, very good performance, and familial Lexus styling and luxury. We had an opportunity to visit our grandson at the University of Tennessee at Knoxville, and our vehicle for the visit was a 2018 Lexus GS300. This model was formerly labeled the GS200t to reflect its 2.0-liter turbocharged four cylinder engine, but it seemed more reminiscent of the old, original, LS400, with its quiet, smooth ride. It still sports the 2.0-liter four. Our journey took us through city streets in a college town as well as over Interstates and some more general suburban roads. In addition, we toured a few shopping centers with traffic that ranged from almost nonexistent to midtown New York rush hour in volume. The GS300 is equipped with standard blind spot monitor and rear cross traffic alert to help navigate this foolishness. The GS300 proved to be a comfortable driver on all roads. I was impressed with how well it managed through city traffic plus in tight parking garages where we had to make a quick U-turn. The car drove exceptionally well on Interstates, where there was no dearth of power, despite the small engine. The engine is rated at 241 horsepower, and it zipped us along quite well. Other available engines are the 3.5-liter V6 in the GS350, a 3.5-liter Atkinson hybrid engine in the GS450h, and the GS F- Sport, with a slew of performance options. Adding to the comfortable ride are great front seats with good side support. The weather in Knoxville was at times chilly, so we appreciated the heated seats. Rear seat legroom is very good. My 6-1 grandson hopped in and immediately commented on the room. “Use that in your review,” he advised. We were blessed with the same funky weather we thought we left in Pennsylvania, with occasional rain and a mix that couldn't decide among rain, mist, downpour or sun. The rain sensing wipers took the on-off wiper decisions out of my hands. Navigating through the infotainment screen requires the use of a Remote Touch Interface Controller on the center console. This controller has built-in indents to help you stop at points on the screen. I like it. There is a nice hand rest for the driver (or passenger) to be comfortable using it. The infotainment screen looks built in, rather than added on as it is in some cars. 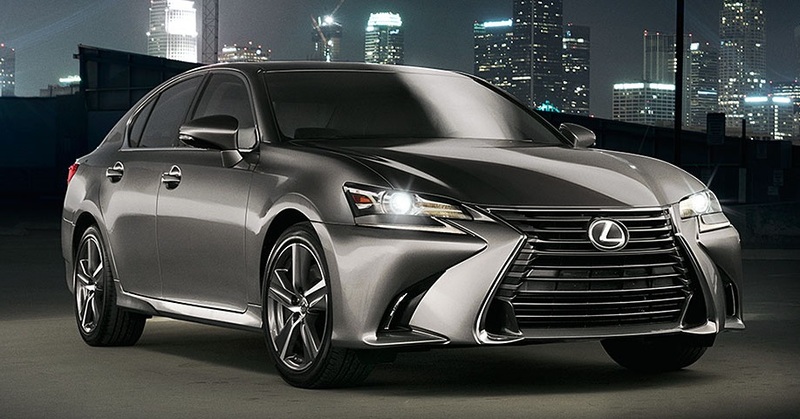 In addition, the GS300 comes equipped with the Lexus Safety System and with pre-collision system and pedestrian detection, dynamic radar cruise control and the BSM. My Does What? )Needless to say, when you’re driving a new car in a different environment, all the safety equipment the manufacturer can add is well-received. Generally, I like the Lexus exterior styling, although I originally wasn’t a big fan of the spindle grille. My only complaint about the GS300 is that almost every time I entered the car I hit my head on the door frame, and I’m not that tall. The GS300 renews my admiration for Lexus. Let’s face it, most Lexus models are derivatives of Toyota models, but Lexus does an excellent job of improving the luxury and overall feel of the vehicles. The GS300 is an excellent package, typical of what we have come to expect from Lexus. The Most In-Depth Lexus Vehicle Shopper's Research - Anywhere!